Place roast into slow cooker. Cover slower cooker and cook on low for 8 hours. 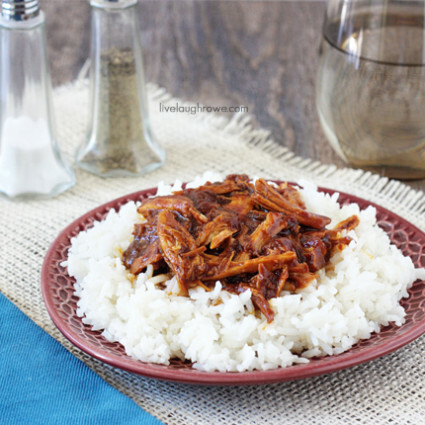 Shred pork and serve over rice, adding sauce to taste.